There are lots of cute spots in Rye, but I'll show my favourites today. The first one is an antique shop. 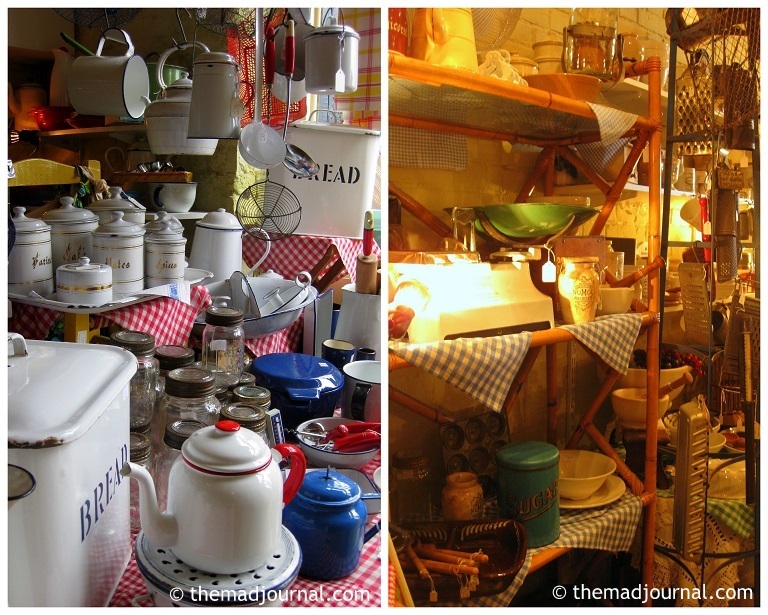 There are so many antique shops in Rye, but this is my favourite. I love their selection of cute kitchenware, tools, tableware.....and so on. Girls could stay there for hours! The shop is full of cute stuff which girls want to have for their kitchen! 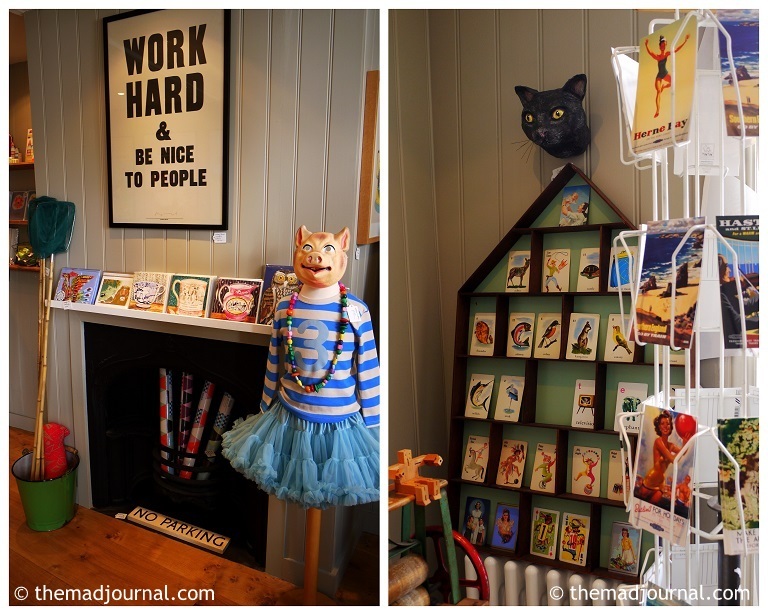 I found a cute shop in Lion Street which is just off the main street. 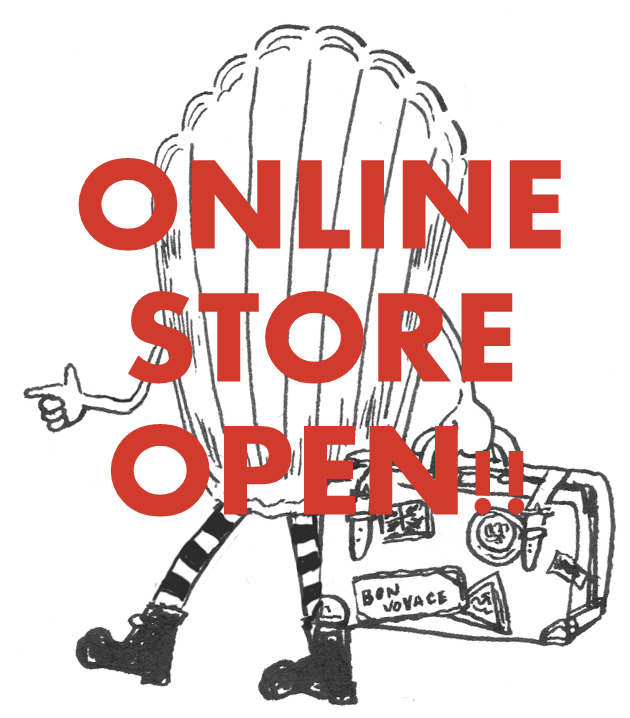 loads of cute and pop stuff!! I want to have everything, I stayed there for a while...! Most of their items are very popular in UK interior, so it must be good for souvenir from UK. When you get tired from walking in the town or shopping, let's take a tea break. 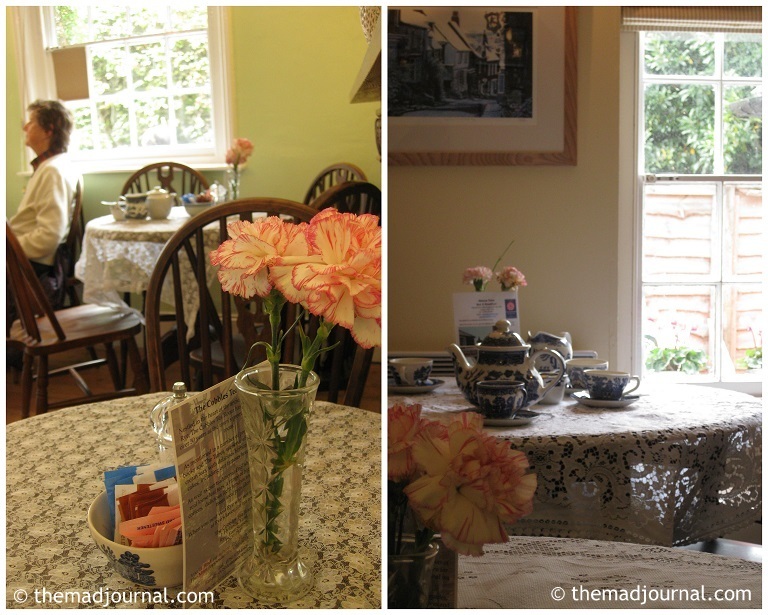 There are many tea rooms in Rye, but I think this is the most popular one. 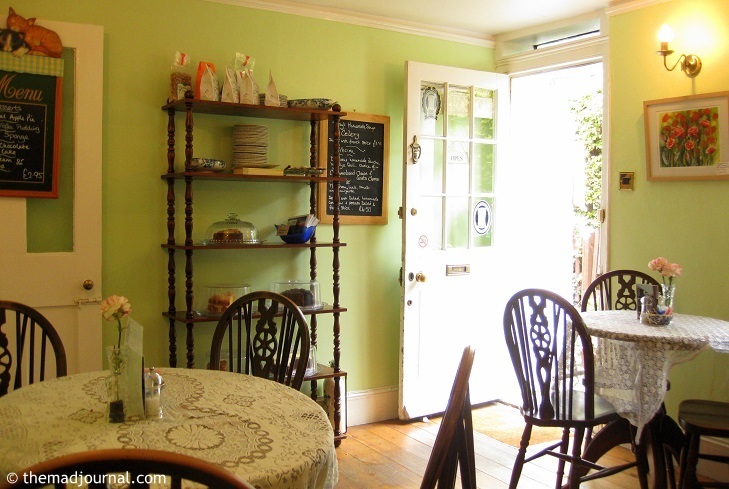 The cobbles tea room is just off the main street. The tea pot sign is so cute that girls must be attracted! It was nice weather so that we were in the garden seats, but the inside looks like this. This photo was taken in 2009. We had a plan that night in London so that we had a lunch and tea together to save time. I couldn't finish the afternoon tea set last time, so we shared a quiche and an afternoon tea set. but it's an affordable price. It was so hot that the clotted cream and butter cream of cake was melted by the time we had dessert. 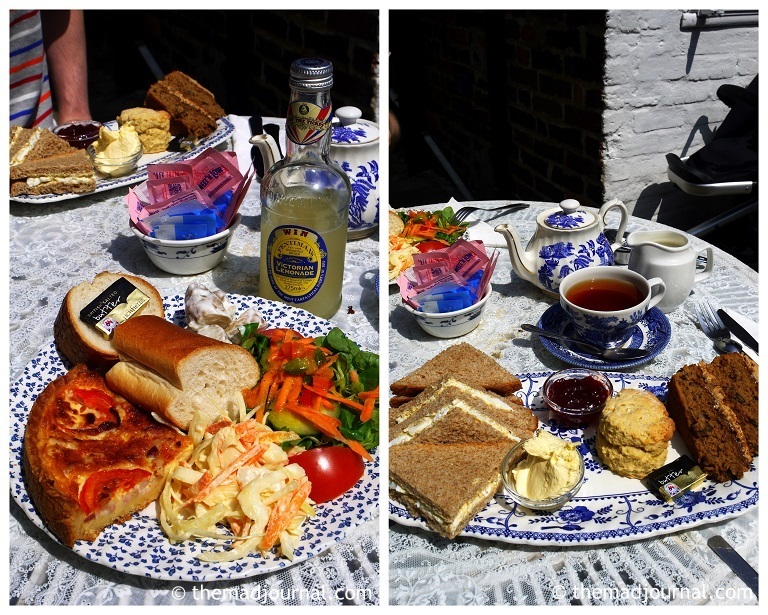 But we can't miss the country style teatime in the English country side! ↓ 光合成で忙しいですが、何とかブログ更新します! クリックでモチベーションをあげて下さい! Click here for the rankings!